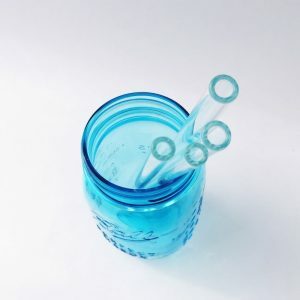 All pieces are handmade out of borosilicate glass, which is the strongest type of glass that can be used for glass straws. Our super fancy glass is so amazing, it can withstand temperatures below freezing and up to 1500 degrees Fahrenheit, and cleans up nice in the dishwasher too. Let's take responsibility and stop using single-use plastics. Straws are lightweight and easily blown away by the wind. They are not recyclable. Animals can mistake straws for food, which can lead to their deaths. The easiest way to not use a straw is to refuse it when you order. That way the waiter will bring you a straw-less drink. 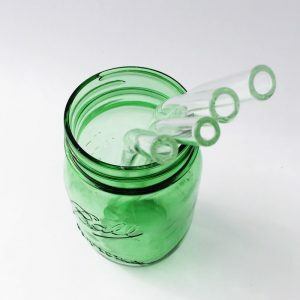 You might also want to investigate reusable, or paper straws.